In the history biggest change is being happens in the TRANSPORTATION. we can clearly see that transportation models of ancient times and currently used hyper cars how they are far away from each other just like the ocean and the sky !!! Today's topic is same as interesting as all these history and future vehicles. 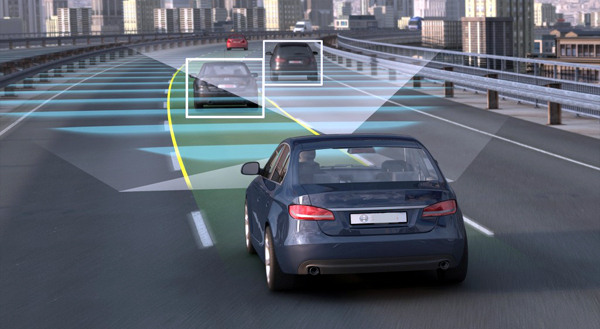 Currently whole world have been moving to put self-driving essential feature in the vehicles whether it is hyper spot cars OR two wheeler sports bike. In other hand some researches shows the amazing engineering prototype of flying car with practical move in the sky. 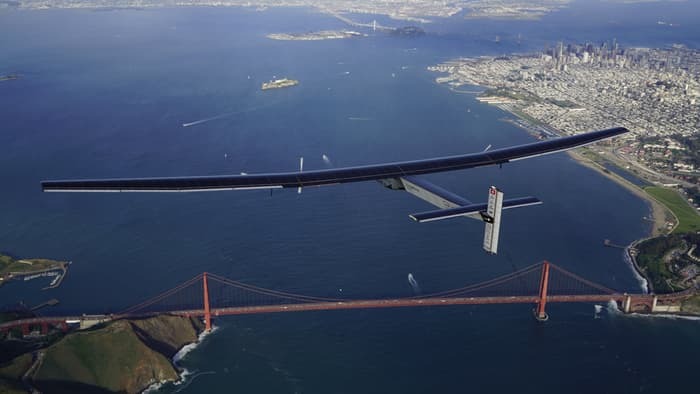 In the end of 2015 "SOLAR IMPULSE" named aircraft which is an experimental solar powered air craft project which was gone successfully in 2016. 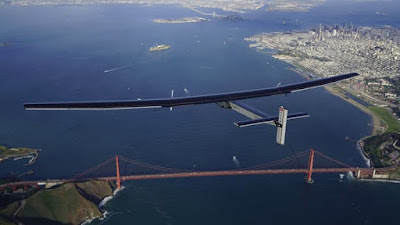 So ow they will panning for launch next experimental aircraft project "SOLAR IMPULSE 2" within few months. In the revolution of trains few more patent ideas of tesla was remain unsuccessful through his life. 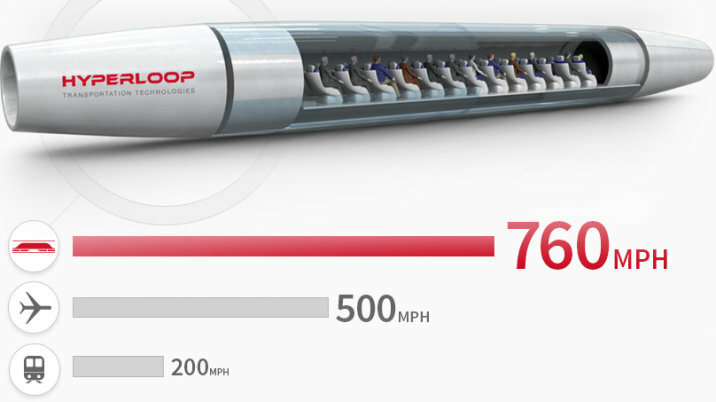 But now a days In america MOSCOW city with the higher engineering technology company are trying to make "Hyper loop Trains" for the city transportation to reduce time on it. So it will also be possible in next few years. 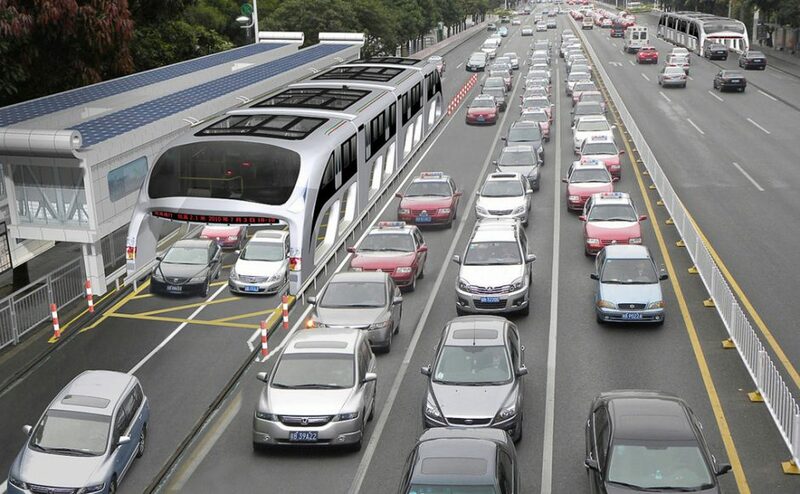 China recently developed the practical model of "straddling bus" concept that actually runs on the road of city of it. 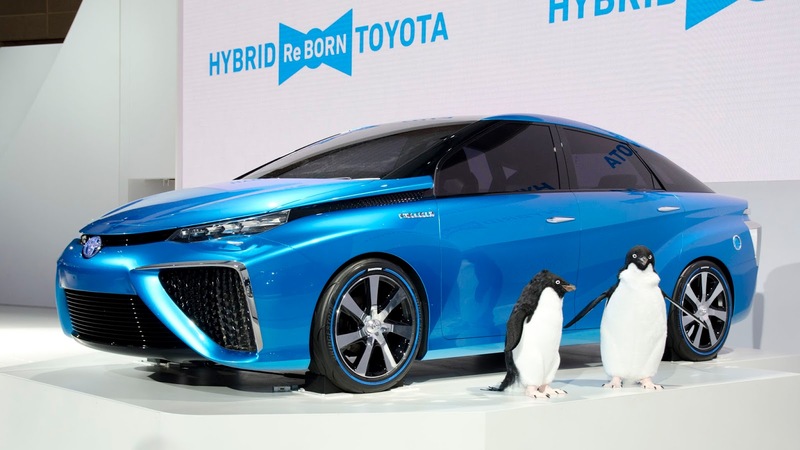 They make clear vision about future green environment with new technology along with vehicles. 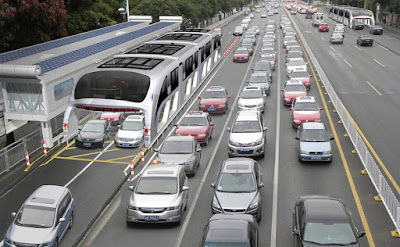 It can able to carry more than 300 person same time whether it was traffic OR not. It can run all over on the road at the height of 15 meters. so that no worry about other vehicles which were stuck on the road because of bad traffic conditions. 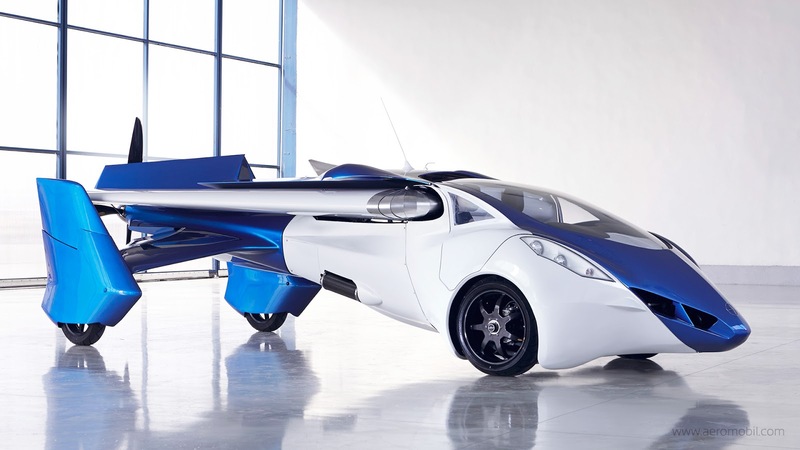 In 2013 The company named "Aeromobil" officially invented a beautiful integrated flying car. That may able to turn completely from automobile to airplane. The car have perfectly created infrastructure and more about it may parked in common parking lot so no worry about to make it more catchy for special parking space. Same uses the same gasoline as others so you can able to take it any where in this world. They are also on the way to make it more better the now with the carbon fiber which weights loss and more strength on it with the higher implementation of advanced wing technologies. Through out there were some futuristic technology that Future vehicles may run on water. So no need of gasoline as fuel. Researches showed that by the deforming of water it releases Hydrogen and oxygen.using oxygen as fuel it may become danger So by the use of "Hydrogen" as fuel it can stored to cold storage and able to supply fuel continuously by deforming of water. So no more cost of gasoline on it. Recently TOYOTA car manufacturing company revealed "FCV CONCEPT CAR" that able to run on hydrogen fuel.